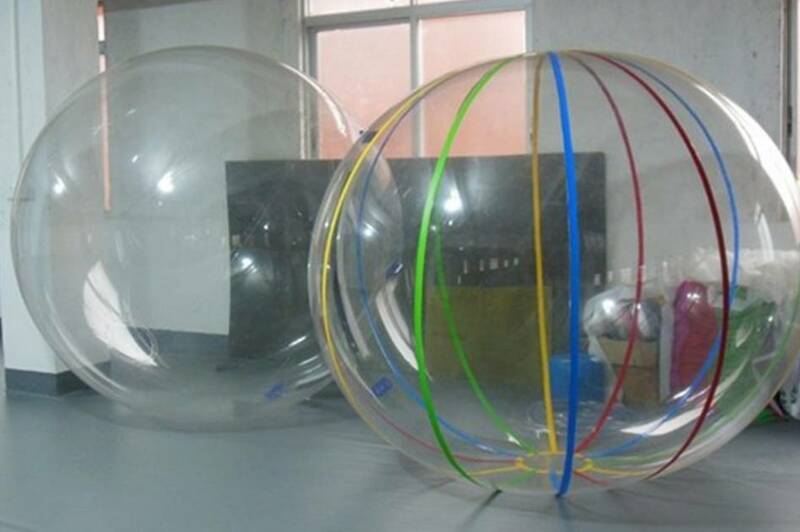 The water balls, dance balls have enough breathable air volume inside the sphere for a normal person to remain inside for a long time without the need to refill the ball with fresh air. 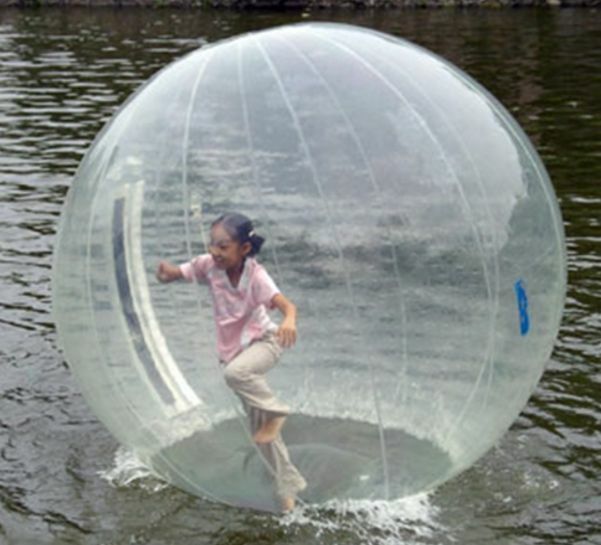 It can be used on water as a game or amusement device. 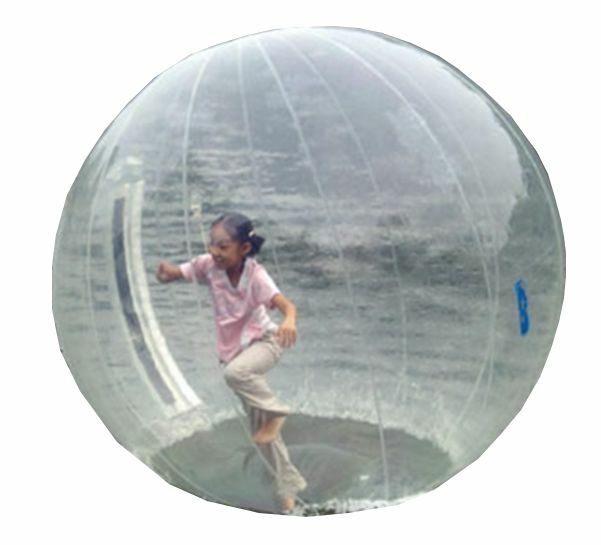 This allows the rider inside the internal ball to have a safe, fun and exciting experience. 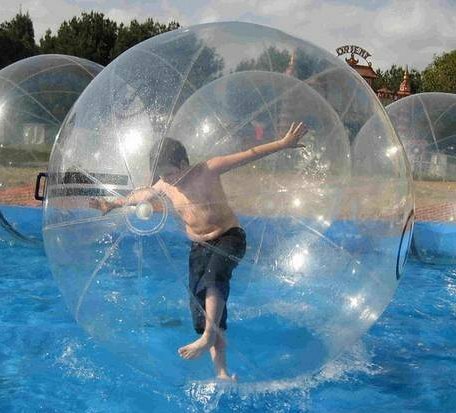 You can walk on the water! 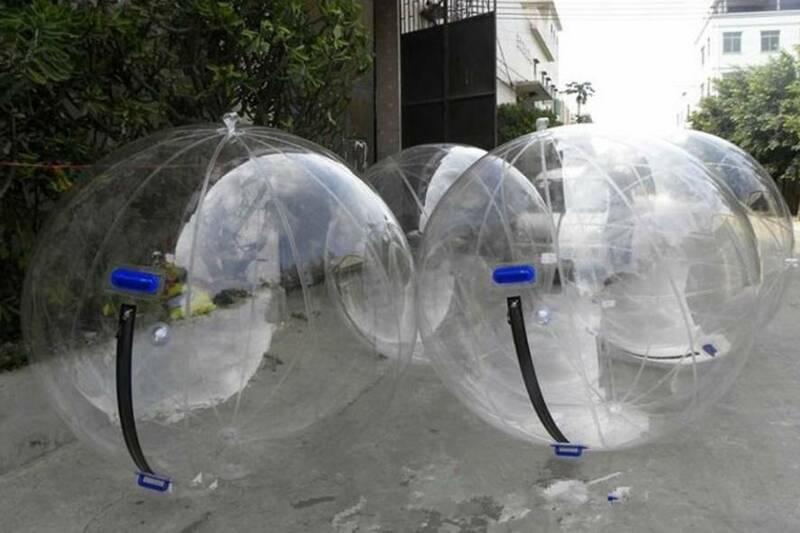 Putting fresh air inside the balls is easy. 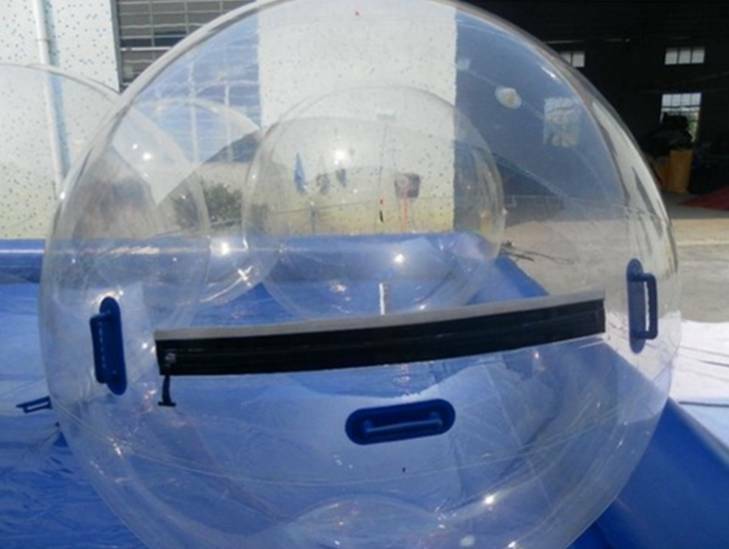 Open up the air intake valve and insert the blower (even with someone already inside the ball), so the riders can stay inside for longer periods of time. 15-20 minutes when used on hot sunny days. If the balls are used out of the sun or at night, as long as you wish, just change the air inside the ball at least every 30 minutes. - Do connect the ball with rope when playing. - Weight: Please ensure that the weight inside it is less than 300kg. - Please do not use this ball on ground. - Use the lubricating oil in the repair kit when the Zip is not smooth to work. - Use the material and gluewater in the repair kit to repair kit when it is Pierced in case. 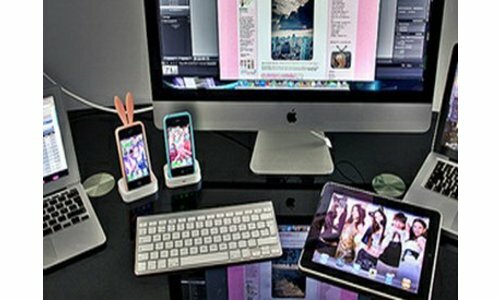 - Put it in package at cool place, do not put it together with keen-edged things.